(Newser) – A "gambling mecca" is set to oust Qatar as the richest place on Earth, per the International Monetary Fund's newest stats. Bloomberg reports that the IMF's World Economic Outlook database has pegged Macau as the planet's wealthiest place, with its economy on track to reach the equivalent of $143,116 by 2020. Qatar, meanwhile, will come in at $139,151 by then. 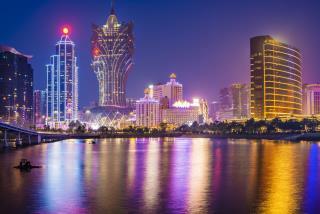 Macau, an autonomous region that holds the only legal casinos in China, is also set to even further outpace Qatar by 2023, with an expected GDP per capita of $172,681 to Qatar's $158,117. "economy on track to reach the equivalent of $143,116 by 2020" I paid more than that for my house. Either they're missing some zeros or I got ripped off big time.